KENTISH LODGE is located at 3 OXFORD ROAD in district 08 (Little India, Serangoon Road) of Singapore. 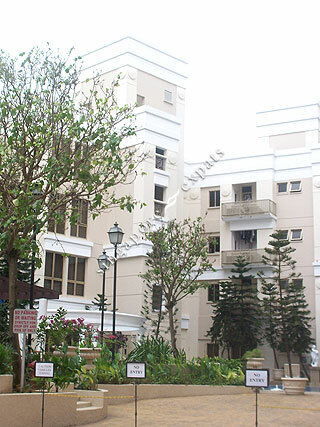 KENTISH LODGE is a 99-year Leasehold Condo development consisting of 75 units. KENTISH LODGE is completed / TOP in 2000 (estimated), developed by KENTISH GREEN PTE LTD (FAR EAST ORGANIZATION). Educational institutions like ST JOSEPH INSTITUTIONAL INTERNATIONAL, INSWORLD INSTITUTE, GLOBAL INDIAN INTERNATIONAL SCHOOL, FARRER PARK PRIMARY SCHOOL, HONG WEN SCHOOL and STAMFORD PRIMARY SCHOOL are near to KENTISH LODGE. KENTISH LODGE is accessible via nearby FARRER PARK, NOVENA and BOON KENG MRT Stations. Great place, nearby city and amenities, don't have to worry about the influx of worker during the weekend.